The video game setup downstairs. To the left of this is our other TV (that is in use), which has a NES and SNES hooked up to it (not shown). 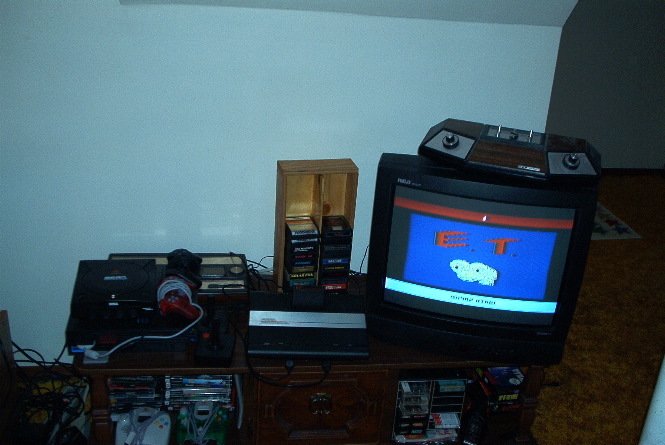 Here we see my Atari 7800, running E.T., my Intellivision, my PS2, my Dreamcast, and my pong machine. Games of all sorts are hiding in the cupboards.